The producers of the show was Al Turner who also handled emcee duties, too and the owner of the Sportatorium, Ed McLemore. When it first took to the air they had about 20 performers. 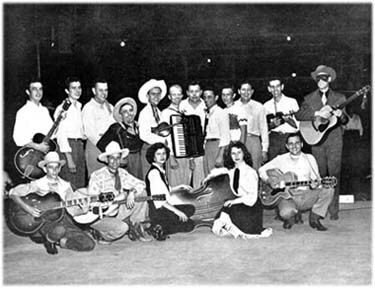 Around early 1953, they had nearly 50 performers putting on a show each week for four hours each Saturday night. 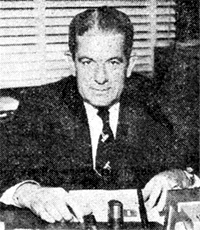 KRLD, then a part of the CBS network, was able to reach audiences in nearly 40 states with its signal. KRLD broadcast all about 30 minutes of the show. 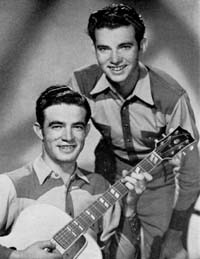 Later on in around 1955 and 1956, Johnny Hicks and Johnny Harper were producing the show, too. Speaking of emcess, the late Hal Horton, KRLD DJ, was a big booster of the show. 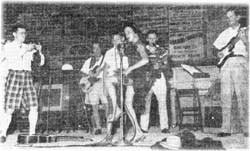 The show was also plugged by other disc jockeys Jim Foster, Harold Goodman and Al Turner. 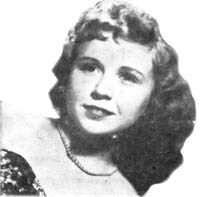 Al Turner took over the load in 1948 and began a Big "D" Jamboree policy of inviting "name" guest stars for appearances. 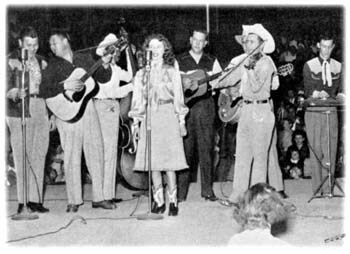 Starts that look like they were a part of the Big "D" Jamboree are Sonny James, Riley Crabtree, Artie Glenn, Hank Locklin and others. 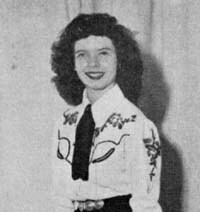 And the big names of hillbilly music did make appearances. 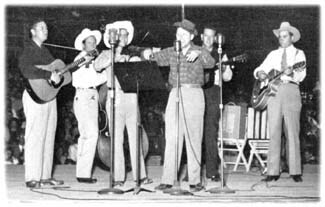 Names like Homer and Jethro, Floyd Tillman, Hank Thompson, Carolina Cotton, Jimmy Wakely, Carl Smith, Hank Snow, Moon Mullican, Lefty Frizzell and Webb Pierce played before the Big "D" Jamboree audiences. 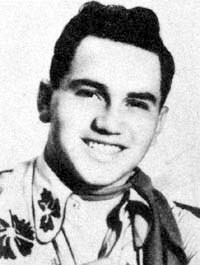 Webb Pierce was the guest star on the show's 10th anniversary gala. In 1953, 65 cents would get you in to see the show, while kids would pay half-price. The show started at 8:15pm and ended at midnight. The Big "D" Jamboree also had its share of discoveries and future stars on its roster of talent. 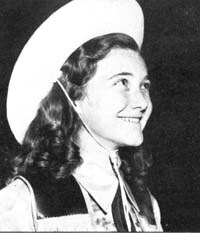 Their talent contests found talents such as Oakie Jones, Jimmy Lee and Gene O'Quin. 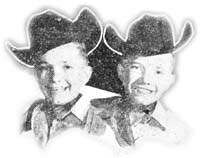 Hillbilly-Music.com wishes to express its appreciation to David Dennard of Dragon Street Records for his contributions of photos and information about the Big "D" Jamboree where noted.